Mold loves dampness. So there is no doubt it will love Bergen County NJ’s flooded homes and businesses. Mold is a common microrganism that is everywhere in the environment. There are about 1,000 different species of mold in Bergen County NJ. 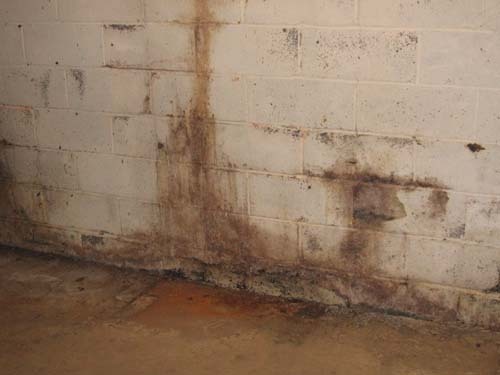 In terms of flood or sewer waters that have entered homes, the primary concern will be what is commonly called “black mold” or Stachybotrys chartarum. Greenish black in color, it can grow on material with a high cellulose content, such as drywall, studs, hardwood, fibreboard, paper, dust, and lint. Growth occurs with moisture from leaks, condensation, water infiltration, or flooding. Airborne mold can cause chest tightening and coughing and can trigger an asthma attack. More severe reactions are rare. Symptoms generally disappear once the mold is removed. So what can you do to get rid of mold and ensure it does not spread? – Determine what surfaces have been affected by the water. Insulation materials can pick up large amounts of contamination and trap it during draining. If they stay wet for extended periods of time, molds and bacteria can grow. They also lose their insulating capabilities, even after drying, so replace them. – Walls and floor coverings such as carpeting need to be removed and the wall cavities need to be cleaned and dried. If cavities are not thoroughly cleaned, once they are closed again any problems will remain unseen until they become severe. – Check the condition of drywall and plaster to ensure that the core of these materials is not saturated beneath the surface. If wet, replace them. – Don’t forget to check ceilings. Even if they are dry and undamaged, water can wick up walls and around corners into ceiling materials. Carefully clean ceilings that are only surface damp, to ensure that a thin film of mold or bacteria did not grow when the air was very wet or muggy. – Remember mold can get into anything, including appliances and upholstery – anything with a surface that gets wet. It only grows on things that it can eat but that doesn’t mean that mold and bacteria won’t be left behind after a flood. – Do this as quickly as you can – preferably within a few days. 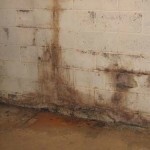 Mold is always around but it is the dampness that makes it take hold and spread. _If you can’t do this yourself Call Fresh Maintenance at 866 543-3257 and have a professional mold removal crew do it. And while you take care of your home, make sure you take care of yourself. A flood is a big event and people will be upset. They need to talk about it.